Embedding a coaching and mentoring culture in an organisation is no longer viewed as a ‘good thing to do’ but rather an essential component of any organisation’s strategy to become the best in class in a VUCA world. In this keynote we will explore the realities organisations face as they progress the aspiration to become an organisation where coaching and mentoring is embraced. Professor David Clutterbuck is a thought leader in this space whose research is respected worldwide. Rosarii Mannion is the HR Director for the Health Service Executive (HSE) the largest employer in Ireland with over 100,000 employers. Paula King is a Director with Kingstown College and an Executive Coach whose MSc thesis was on ‘How to Embed a Coaching and Mentoring Culture’. Together, they will explore some of the myths and legends which have become part of our beliefs in this space. Rosarii Mannion has 20 years of human resources experience including management experience in Community and Hospital Services in the HSE. Throughout her career she has held a number of senior management and leadership roles. She is a passionate believer in maximising staff performance through coaching, mentoring and in staff engagement. Rosarii is a Chartered Fellow of the CIPD, a qualified Mediator, Executive and Conflict Coach and holds a BA, HDip, MA and MSc. She is a qualified coach through the EMCC and is the 2017 ICF Business & Executive Coach of the Year and is a Leadership Fellow of St. Georges House, Windsor Castle. She is currently the Legal Island HR Leaders of the Year. Paula King is an international speaker, executive coach, and psychologist and is an accredited Master Practitioner with the EMCC. She is the recipient of a number of prestigious awards including ‘Best Global Coaching Leaders’ Award which was presented to her in Mumbai in February 2017. She was the first Female Executive Coach in Europe to have received this international recognition. She also won the EMCC International Coach of the Year Award in 2018. This award was presented to her in Amsterdam at the EMCC International Conference where she was also a Keynote Speaker. 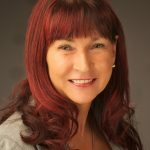 Paula holds an MSc in Coaching and Organisational Development from Portsmouth University and is Past President of the EMCC Ireland. She holds accreditation from the David L. Cooperrider Center for Appreciative Inquiry and embraces absolutely the approach to strengths-inspired instead of problematising change. Professor David Clutterbuck is one of Europe’s most respected writers and thinkers on leadership, coaching, and mentoring. He’s the author of more than 70 books and regarded as a leading global authority on coaching and mentoring. Professor Clutterbuck is a visiting professor to the coaching and mentoring faculties of Henley Business School, Oxford Brookes University, Sheffield Hallam University, and York St John. Co-founder of the EMCC and currently serving as the EMCC International Special Ambassador, he works across the world stimulating top teams to become role models for learning and to examine how they can raise their collective performance, and brings a wealth of practical experience and leading edge research to developing leaders at the top. He has coached and consulted widely in the public, private and not-for-profit sectors. 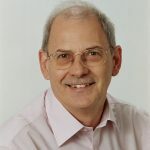 He originally brought the concept of structured mentoring to Europe in the late 1970’s and has developed an international reputation for his mentoring programme design and support, helping hundreds of companies, voluntary bodies and government agencies around the world create sustainable mentoring programmes.